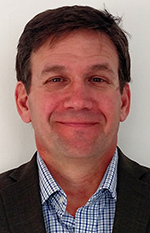 Ann Arbor-based GDI Infotech has appointed Rob Mahanes as its new vice president. As vice president, Mahanes will be in charge of leading the expansion of the company in the Chicago and Milwaukee markets. Mahanes, of River Forest, Ill., previously worked at Experis, Ajilon Consulting, and Ciber. He has experience in IT services, client relations, recruiting, consulting, management, and has contributed to hundreds of firms in a variety of industry verticals. He earned a bachelor of science in business administration degree from Central Michigan University majoring in management information systems and production operations management.